Hello everyone and thanks for supporting Imerman Angels and the one-on-one support to those impacted by cancer. And thank you in advance for supporting me as I run the Imerman Angels Brunch Run 5K & Walk on June 9th. My goal is to help those impacted by cancer through my participation in this event by raising funds to create matches between a Mentor Angel and a person currently facing cancer - a fighter, survivor or caregiver. Each time one of these matches is made, it costs the organization approximately $350 (the service is free to support seekers). And that is where you can help - your donation will directly help fund a match so that someone impacted by cancer can receive the help they need at the time they need it most. So that no one faces cancer alone. 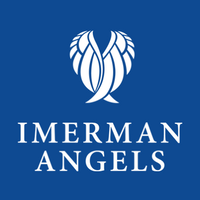 Once again, thank you for your consideration in helping Imerman Angels create as many matches as possible through my efforts in participating in the Brunch Run!